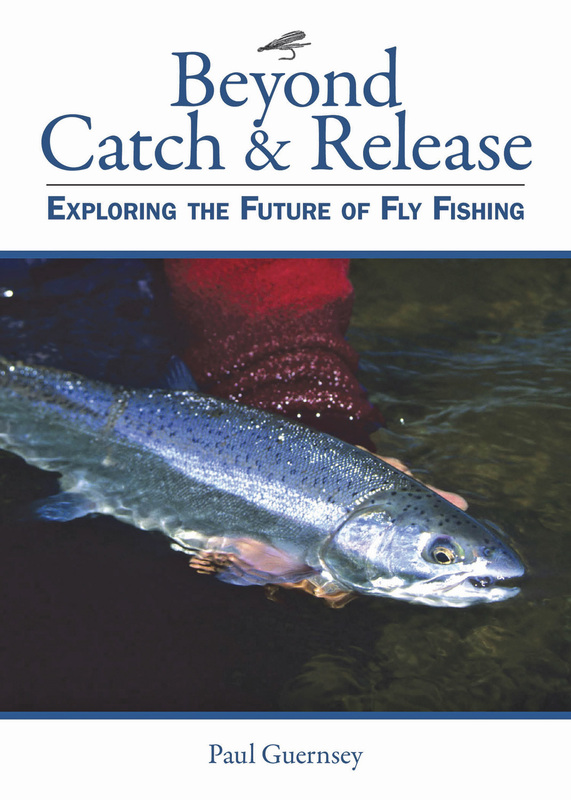 Paul Guernsey’s latest book, Beyond Catch & Release: Exploring the Future of Fly Fishing (Skyhorse Publishing; $19.95) is a thoughtful, reasoned road map of fly fishing, of where it’s been and where it’s headed. Yes, fly fishing continues to be a glorious ride, but Guernsey is cautious to point out that we’re fast headed toward a fork in the road, and it’s decision time. Keep on as we have, despite the efforts of our various conservation groups, and the future of fly fishing is bleak. The good news is that the author says there’s hope. And then he lays out a solid, attainable series of modifications for possible change. In his humor-tinged style, Guernsey aptly quotes Ebenezer Scrooge, that most hopeless of cases: if “the courses be departed from, the ends will change.” Guernsey’s suggestions for preserving the resource and saving the very sport we all can’t live without are practical and attainable. Though Beyond Catch & Release is a heady read, it is no esoteric work. Anyone who enjoys and appreciates spending more time outside than in will find the book both thoughtful and useful. Guernsey, a lifer devoted to the sport, also covers the nuts-and-bolts aspects of fly fishing (cleanliness, diseases and pests, to net or not to net) in a series of chapters that build from the dawn of fly fishing to beyond the present. The book covers an array of topics that form the soul of the sport, from heeding the rules that still matter, reverence for the quarry and the great out-of-doors, and respect for fellow anglers, before winding up with suggestions for life with an altered but wholly enjoyable sport. Beyond Catch & Release is many things — among them a tight read with powerful and informative writing, and a handsome package sporting 30 pages of color photographs — but above all, it is timely and important. If you buy one book this year about fly fishing, Beyond Catch & Release is the one to go for. Or the rest won’t matter. The baisc topic covered in Tenkara: Radically Simple, Ultralight Fly Fishing (Lyons Press; $19.95), interests me, namely because it offers a drastic simplification of a pastime that can be unnecessarily complex. I suspect, given the hurried times in which we live, that other folks will be intrigued for the same reasons. OK … but what the heck is tenkara? In its simplest state, it is a minimalist form of fly fishing, practiced in Japan for centuries, in which a line is attached directly to the end of a long collapsible rod — no reel. In addition to simplifying a sometimes cumbersome sport, tenkara shifts the emphasis back to one of fly fishing’s most alluring and endearing aspects — its contemplative side. 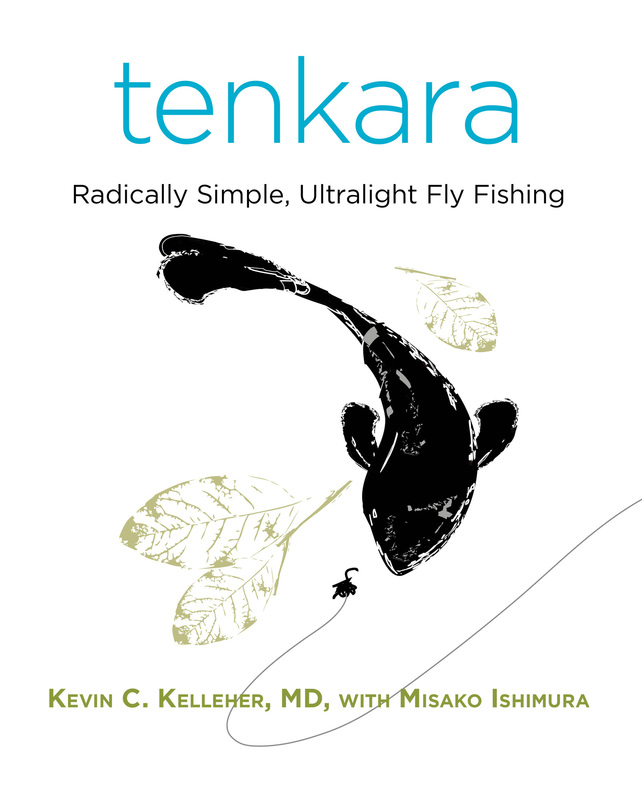 The author, Kevin C. Kelleher, MD, came to tenkara as a way to reduce the amount of gear he carried and the amount of time he spent rigging up. It proved a good discovery for him. In his introduction, he says, “It is more like hunting with a bow than a rifle. Yet done well, tenkara outfishes all other styles on small trout water. Period. … I’ve gotten rid of the extraneous and kept the essential. I fit the environment. 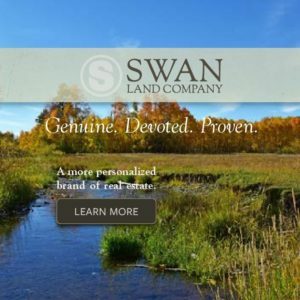 I’m more focused and I fish better, both with my tenkara rod and my old Orvis.” If you’ve ever been frustrated streamside because you can’t find the right piece of gear somewhere in the depths of your overladen vest, or if your reel has failed you in midcast, tenkara might well be worth a go. Kelleher’s book is a good place to begin, as it’s the first English-language work on tenkara. I’m betting it won’t be the last. Flipping through the book I’d have to agree, they do look like they’re having a bit of a blast. And who wouldn’t, whooping it up around the country while towing a tricked-out, vintage camper caravan? And it gets better: Wherever they go, if at all possible, they fly fish. It’s not a requirement for membership, but it is a pastime many of the women share. I will freely admit, as I read I found myself envying them their shared adventures. 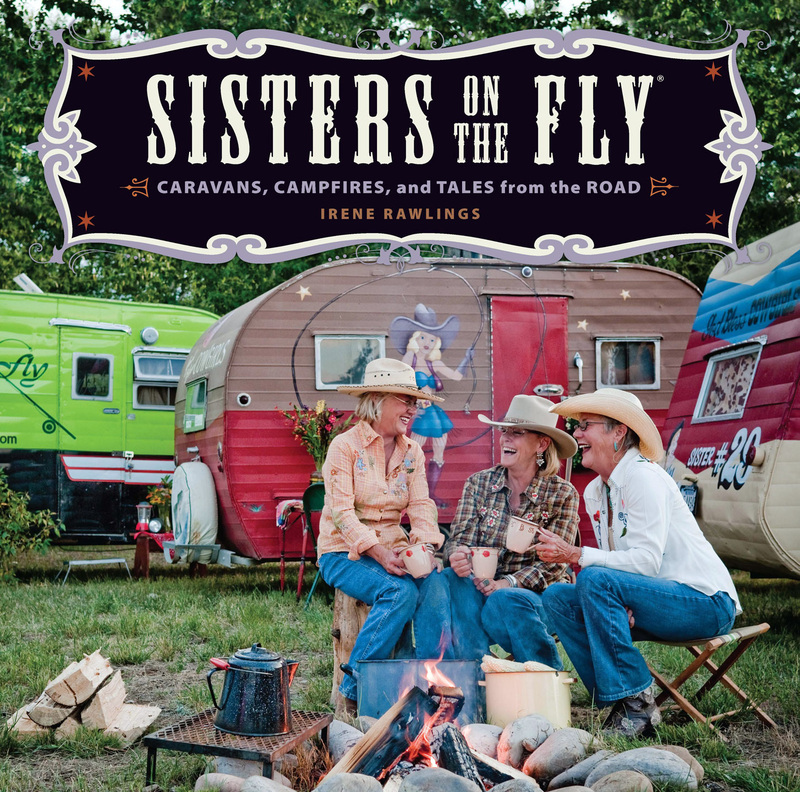 Sisters on the Fly is a retrofied goody-bag of a book filled with photos of the sisters having fun and posing with their campers. It’s also brimming with great stories, practical advice on trailer buying and restoring, tasty recipes, cowgirl crafts, fly-fishing anecdotes, and more. And it’s entertaining, campy, kitschy, and a whole lot of fun — isn’t that what life should be about, anyway? 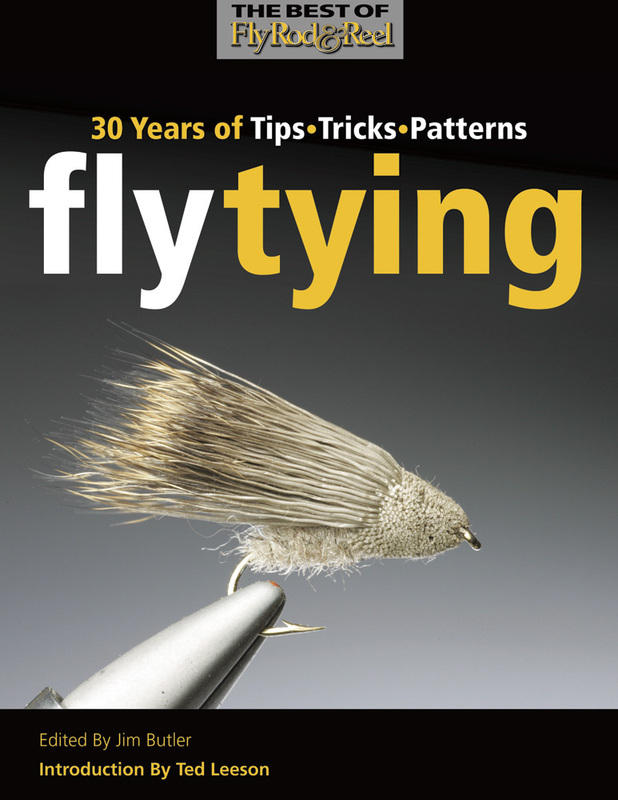 Fly Tying: 30 Years of Tips, Tricks, Patterns (Fly Rod & Reel Books; $29.95) offers what the title promises, and that is a considerable amount. In light of the fact that FR&R has been one of the leading fly-fishing publications for three decades, it makes sense that it would compile such a “best-of” collection. With work from well-known fly-fishing writers Ted Leeson, Darrel Martin, and A.K. Best in three sections, “Features,” “Fly-Tying Columns,” and “10-Minute Ties,” the reader is sure to get his money’s worth of information culled from the fine publication’s long history. The text is accompanied with step-by-step color photos and illustrations on thick, semi-gloss paper that’s both durable and easy to read. And it’s all presented in a comfortable, oversize book perfect for propping on the tying bench. All in all, it’s an engaging, useful volume. One major quibble, though — there’s no index. I found this with a past FR&R book, too. It’s an omission that in my estimation is unforgivable in any non-fiction book, and doubly so in a reference book such as this. Sort of like buying a nifty new car and finding there’s no spare tire. 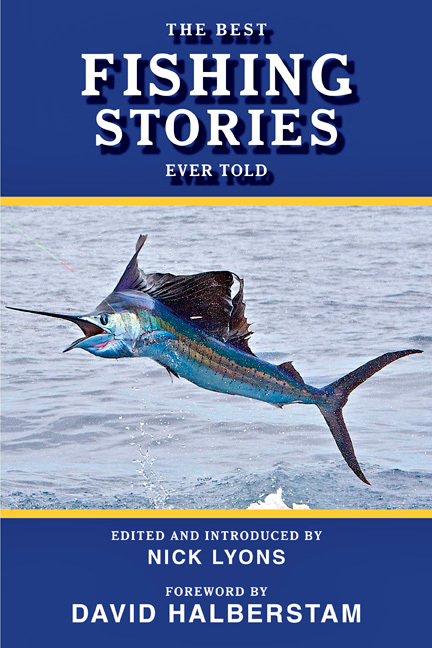 The Best Fishing Stories Ever Told (Skyhorse Publishing; $12.95) is one of those rare books that offers something for everyone — fisher or not. Edited and introduced by Nick Lyons, this massive doorstop of a book — 550 pages — brims with seven themed sections, from “Early Days — Of It and Us” to “Anglers All — And Matters Philosophic” to the wrap-up section, “Classic Fishing Stories.” The book is a who’s who of fishing writing, and includes forgotten gems and revered classics, fiction and non-fiction, from names such as Jimmy Carter, Izaak Walton, John McPhee, Zane Grey, Thomas McGuane, Lord Byron, John James Audubon, Howard Frank Mosher, Rudyard Kipling, Norman Maclean, Nick Lyons, and so many, many more. In fact, the number of pieces about our favorite sport tops 70. Readers will find something new every time they open the book, something they might learn from, laugh at, cry over, or dream about. Not bad for one book. 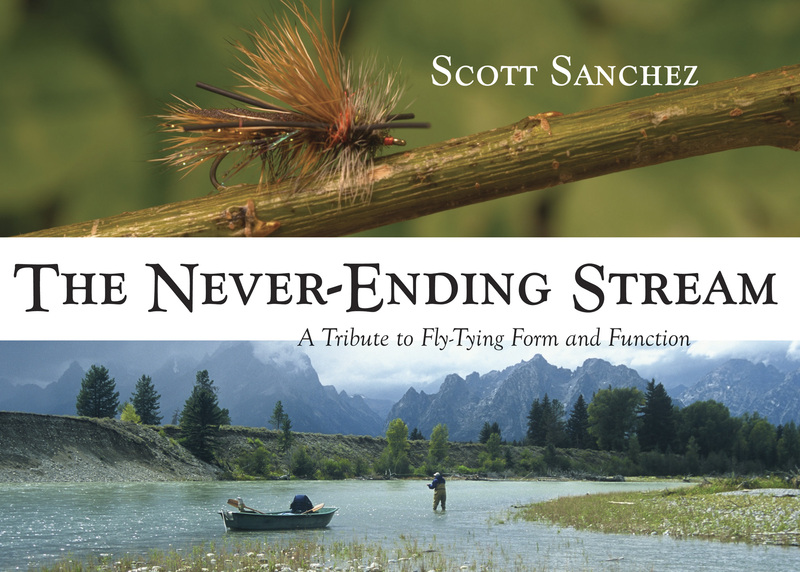 In The Never-Ending Stream: A Tribute to Fly-Tying Form and Function (Pruett Publishing; $34.95), author and master fly-tier, Scott Sanchez, blends his passion for fly tying with lovely color photos, light, lyrical prose, and fly recipes to form a 20-chapter book that is as much a love letter to the pursuit of fly tying as it is a thank-you note. As Sanchez says, it is a tribute to the fly-tying influences in his life, the people past and present who inspired and taught him. Those figures include such giants as Bob Quigley, Lefty Kreh, George Herter, Gary LaFontaine and many others. 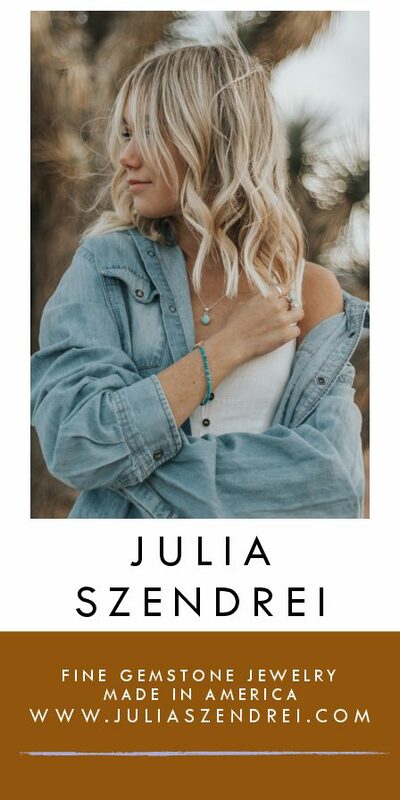 In a sport in which the community of practitioners is uncommon in its level of mutual influence, readers will find much of interest and of potential use in The Never-Ending Stream as they themselves practice the functional art form of fly tying. 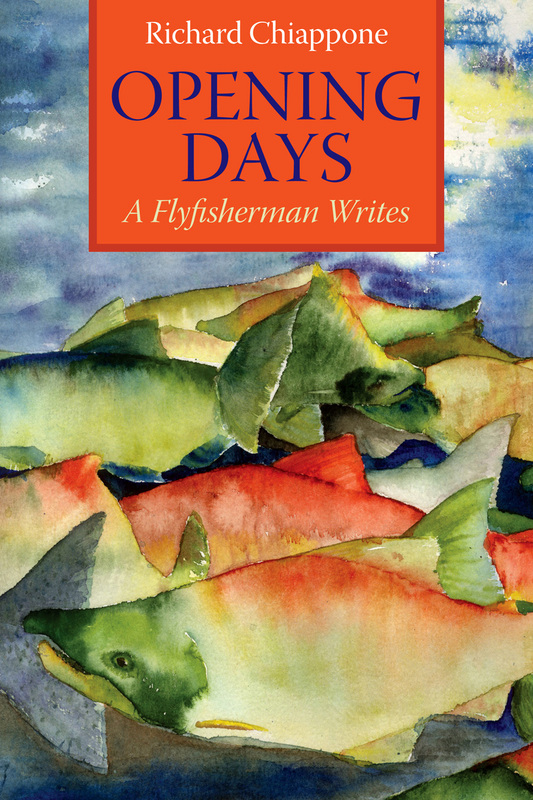 With Opening Days: A Fly Fisherman Writes (Barclay Creek Press; $24.95), we are given a strong, engaging collection of pieces as eclectic in their make-up as they are similar in their ability to move the reader. The book is a refreshingly odd beast in that it includes short stories and essays, before rounding off nicely with poetry. The writing sparkles, the stories are dense with meaning, though never ponderous, and stay with the reader for a time, like the taunting memory of a missed fish. Through it all, Chiappone’s writing is accessible and entertaining, urging the reader to keep going. And the poetry at the end of the book tops off the meal like a fine dessert. 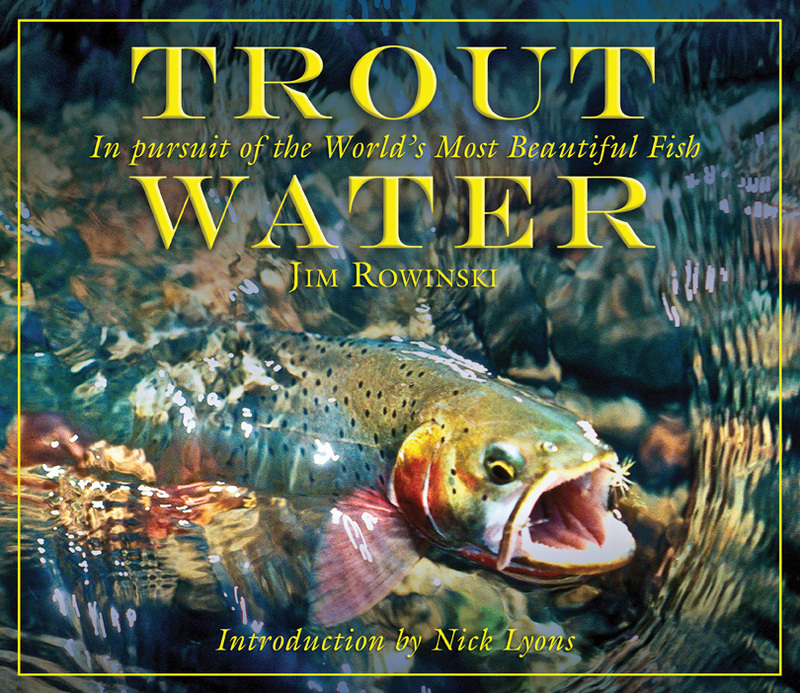 Jim Rowinski’s Trout Water: In Pursuit of the World’s Most Beautiful Fish (Skyhorse Publishing; $35) is an oversize, well-made hardcover brimming with fine, full-color photos of trout, their pursuers, and the American environs in which trout are found. The images range from Western locales such as California, Wyoming, Montana and Colorado to the middle of the country with Wisconsin and Michigan, and then east to Virginia, Maine, New Hampshire and Vermont. The text is just right without overwhelming the images, and serves to entertain and edify, extolling the wonders of historical and geological nature of trout waters. Plus, we are treated to the author’s take on conservation and the bonds between angler and river. But really, it’s the photographs that transport the reader to the places we all long to be — where the trout are. As I browsed through this lovely book, it occurred to me (I can be slow in setting the hook) that trout live year-round in the prettiest of places. And that tells me a lot about fishermen — we like to spend our time outdoors, surrounded by beauty. Even the rankest little stream is bound to be prettier than the insides of a bowling alley or a pool hall. Give me a fly rod over a pool cue any day of the week.